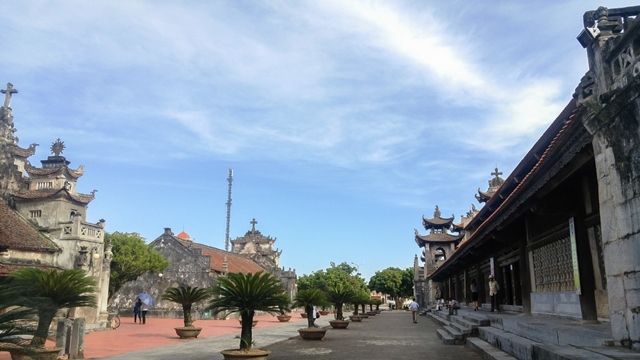 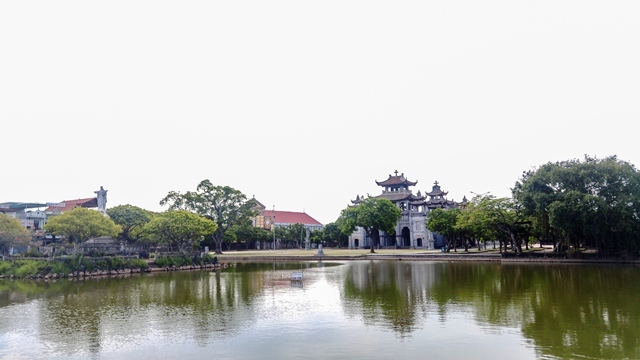 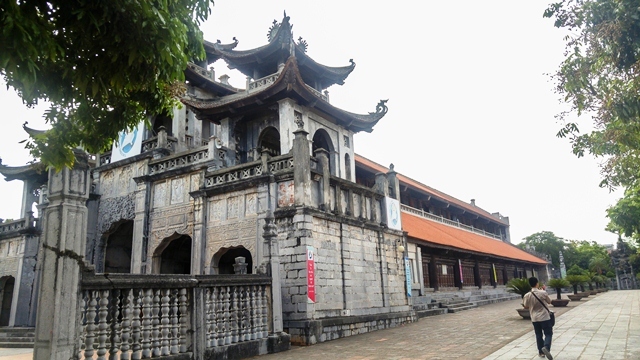 Designed like a Buddhist temple with curved tiled roofs, Phat Diem Cathedral is considered the most unique piece of religious architecture of Vietnam. 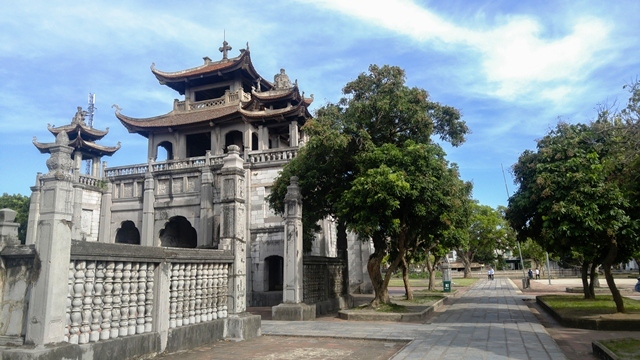 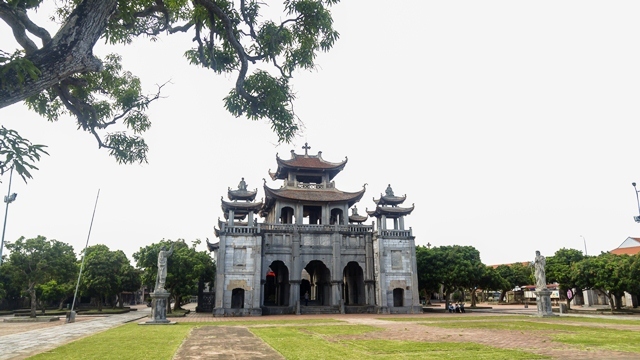 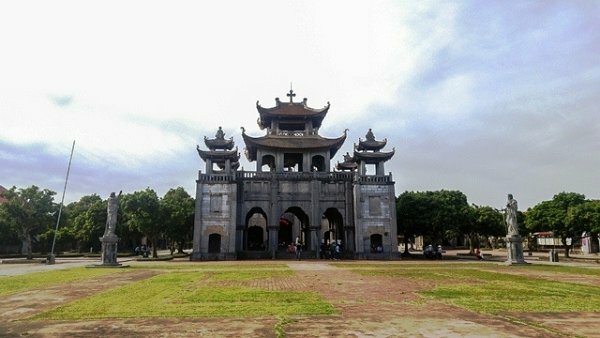 The cathedral is inspired by the Vietnamese traditional style blended with European Gothic architecture. 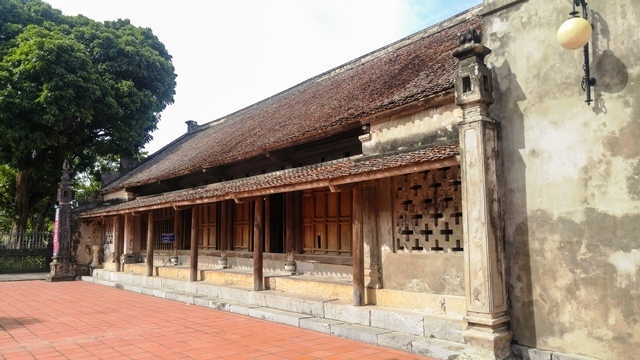 A building evokes imagery of a traditional Vietnamese communal house with upturned tiled roofs. 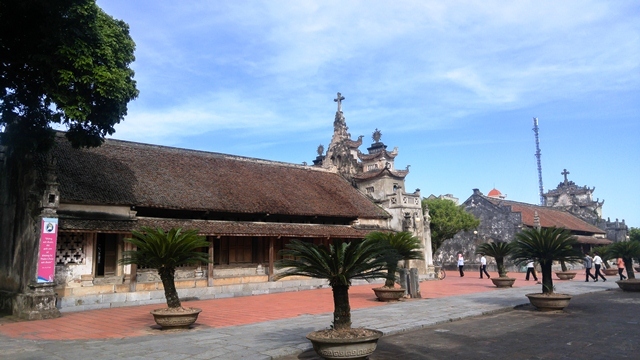 Its roofs are not in the shape of a high tower like in more typical Catholic churches, but are low and curved as in Buddhist pagodas. 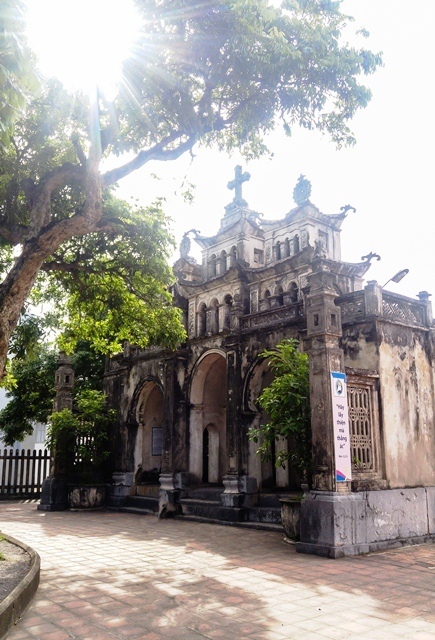 The only feature to distinguish it is the Christian cross mounted atop the edifice. 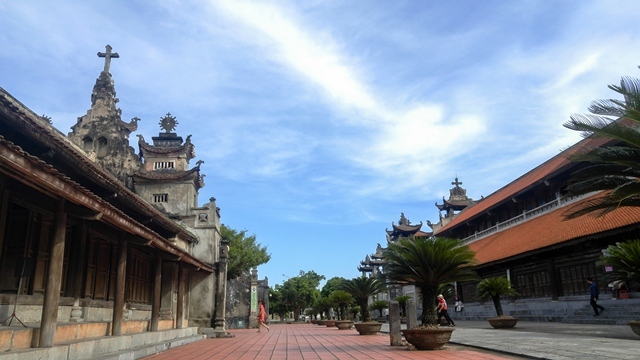 An overview of Phat Diem Cathedral.